Patchwork wall designs are vary in materials, decoration patterns and color combinations, but all designs give a room an immediate dramatic lift and unusual and impressive look. 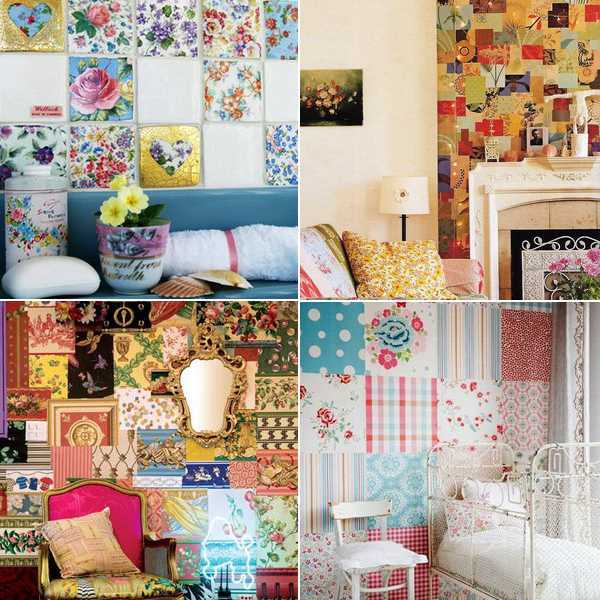 Patchwork wall designs are excellent decorating ideas for empty walls that are lacking any interest. 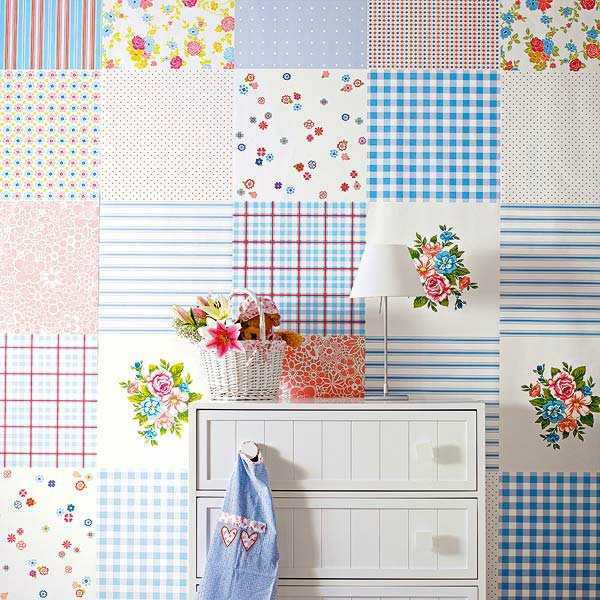 Paint and modern wallpaper, wall tiles and pieces of decorative fabrics can be used for creating beautiful patchwork wall designs or wall panels that are arranged in patchwork fabric style. Bold and bright or made with neutral colors, patchwork wall designs are a unique way to give an empty wall big personality. 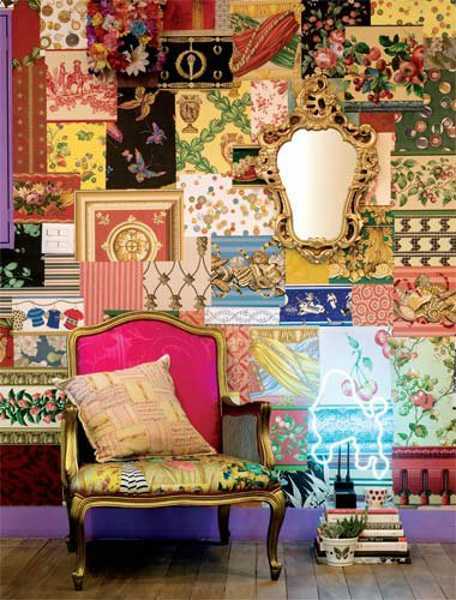 Patchwork walls create gorgeous centerpieces giving an artistic touch to your home interior decorating. Patchwork walls, decorated with paint or modern wallpaper samples, wall tiles or small fabric pieces that are framed or used for creating wall panels, offer stunning accent wall design ideas without breaking the bank, by layering wallpaper remnants or using just few different paints. The complexity of the accent wall with patchwork decoration pattern is eye catching. The interior decorating effect is easily controlled by the addition of minimal furnishings. Interior decorating with a patchwork wall looks striking, grabbing the attention and directing it from room furniture to wall decoration. A throw and decorative pillows that match interior colors, furniture upholstery fabrics, curtains and wall decoration patterns tie room decor together, creating romantic and unusual, stylish and very personal interior decorating. Paint and modern wallpaper, wall tiles and pieces of decorative fabrics in contrasting or monochromatic color hues create bold and surprising accent walls that delight and impress everyone.